The “Lust of the Eyes” is one of the three areas of temptation spoken of in I John 2:16 that has gotten man into trouble from the beginning of time. Sierra Lloyd is a young Christian girl who is exceedingly blessed! A promising career, an affluent lifestyle and pure independence are some of the blessings for which she is most grateful. Sierra is actually very content with her life until temptation in the form of her best friend’s hot fiancé, Taj Brooks, comes knocking on her door. The man is full of ego with a devilish personality and amazingly good looks. It’s not long before Sierra is completely taken by Taj, but her Christian morals won’t let her betray her best friend. Taj, on the other hand, has no qualms about making it hard for Sierra to resist him and he thoroughly enjoys the chase! Sierra soon finds herself involved in confusion, lies and most of all…a love triangle she never anticipated! Feeling hopeless, she is soon being consoled by her boss’ son, Reuben Bradshaw, who has secretly desired her for years. As secrets about Taj’s character come to light and Sierra’s guilt eats at her from the inside out, she’s torn between trying to walk away from the passion she feels for Taj and walking into the safe and welcoming arms of her Christian faith. “Lust of the Eyes” by H. H. Fowler is the first novella in a drama-drenched, three-part series. Nineteen-year-old, Beatrice Bencardi, daughter of a prominent Bahamian preacher, is a modern-day Jezebel who is as manipulative as the ancient queen herself. She will use every trick in the book to get anything she wants. A betrayal spawned by her doings makes her boyfriend, and the father of her two-year-old baby attempt to kill her. 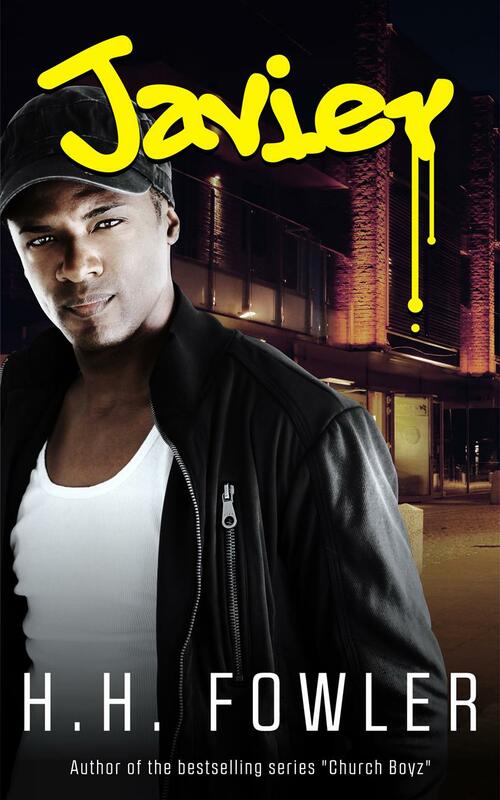 Fighting to save her life, she storms into the police station and falls at the feet of the devilishly handsome Police Constable, Darville Cobbs. Through her manipulation, he eventually becomes emotionally entangled with her. Beatrice’s sister, Oznee Bencardi, is a third-year medical student at the University of South Louisiana. She is loyal and well respected by her family. Oznee professes to be a Christian, however, Beatrice makes it impossible for her sister to live her conviction in peace. Beatrice is jealous of her sister’s success and tries everything to debase her. So, imagine when Police Constable Darville Cobbs begins to show interest in Oznee. It sparks forty-five days of pure hell, because Beatrice is determined to make anyone suffer who gets in her way. The drama continues to unfold. Leroy Paxton, pastor of Mount Moriah Baptist Church, thought he had found a way to get rid of Shaniece once and for all, but had underestimated the power she uses through blackmail. With new secrets surfacing about his past, Leroy sadly discovers that Shaniece isn’t going anywhere, anytime soon. She is determined to bury everything that he cherishes, including his marriage of twenty-six years. Dominic Housten, chief organ player at Mount Moriah and protégé of Youth Leader, Abraham Winder, is faced with a mindbending decision. On the heels of Dominic accidentally stumbling into Abraham’s home, finding a prostitute pacing Abraham’s floors, Dominic wonders if it is time to hand in his resignation letter to Leroy and accept the position as bishop over his stepfather’s church. Could the love that Dominic has for Leroy’s daughter, Tayah be enough to make him stay at Mount Moriah? If Tayah’s husband Phillip has anything to do with it, he would see to it that Dominic never saw Tayah again. In the sequel, When Things Go Wrong, the struggle to survive the battles of life is evident, but when the dust settles, who will be left standing to put the pieces back together? Shaniece Bryant -the queen of manipulation – fights to maintain her hold over Mount Moriah’s beloved pastor, Leroy Paxton, as well as over everything he’s worth. But just when Shaniece thinks she has covered all of her bases, the winds of adversity begin to blow against her. Her sister, Ellisa Benjamin – the woman who had a brief affair with Leroy, is determined to follow her own agenda, and is strongly against Shaniece’s wicked plan. A private detective, who’d been secretly hired by Leroy’s chauffer, is gaining grounds, gathering evidence that cannot be refuted. And when Shaniece’s brother, Phillip, finds himself caught between the raging tempers of his sisters, he fears he will not be able to escape the coming doom. With Shaniece’s desperation reaching its boiling point, she is pushed to do the unthinkable. Leroy’s daughter, Tayah, has to fight a battle of her own, deciding between two men, who are both vying for her heart. Phillip or Dominic? Which one will she chose? But when the mistress of seduction, A’moree, releases her deadly charms, she becomes hell bent on making that choice plain for Tayah to see, because there is one man Tayah just cannot have. In My Last Cry, the race to the finish line is paved with suspense and intrigue. Determination is everything. Which side will win the battle between good and evil? Three boys who can’t stay out of trouble on the streets of New York – Pedro, Caleb and the manipulative Javier, put Rachael Raymonds’ faith to the test, as she tries to save them from the unscrupulous Detective Macino and from themselves. She must resist the seductive charm of the sensual 17-year-old Javier, who could easily corrupt the household. The opposing worlds of the Safe House Sistahs and the Gangsta kids collide under the one roof and sparks fly. Can the caring women at the safe-house bring their last-chance residents back to sanity? In Putnam County, the laws and codes of the rival gangs, Vipers and the Cobras, reach deep into young men’s hearts; the struggle for power that finally explodes in death and vengeance will leave Putnam County staggering. 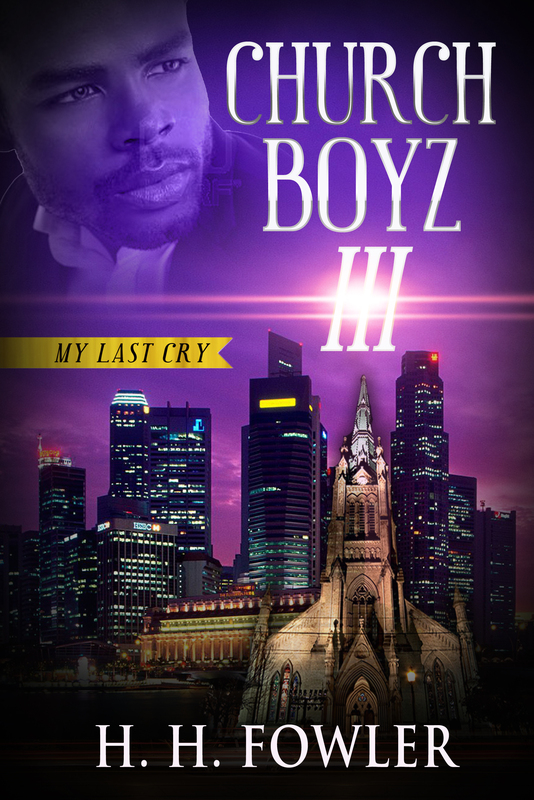 I so enjoyed Church Boyz 1. At first I thought it was gonna be the average “thug” type of book, but boy was I surprised. It has lots of twist and turns. I just purchaced part 2 on my kindle and I can’t wait to read it. Bravo to you. Working on your book trailer now, even if i have to finish it before i head to work in the morning fear not it’ll be done even if i’m late 🙂 …which i am 😦 – but i’m getting there! I read both books One and Two. Book one wasn’t what I expected, it was a good read. I couldn’t wait to get Book 2 and I was not disappointed. I have recommended it to my family and friends who love to read. When will part 3 release? I’m dying to see how the series will end. 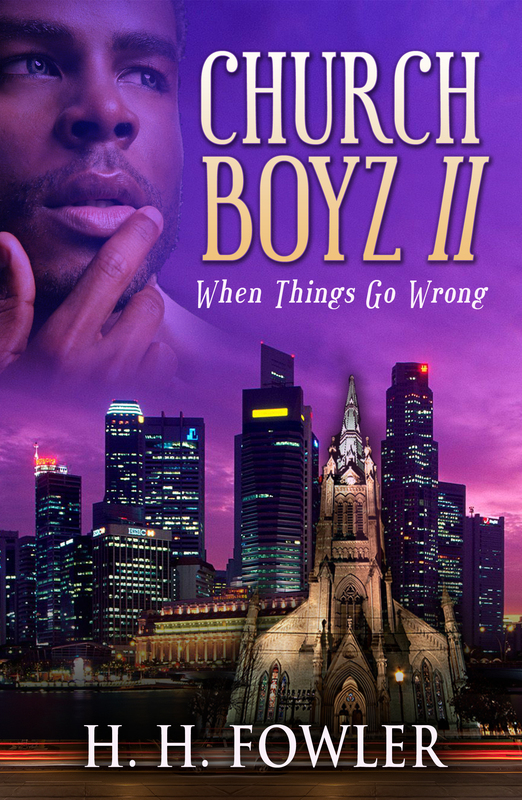 I enjoyed reading Church Boyz 1 and planning on read 2&3 . Hi. 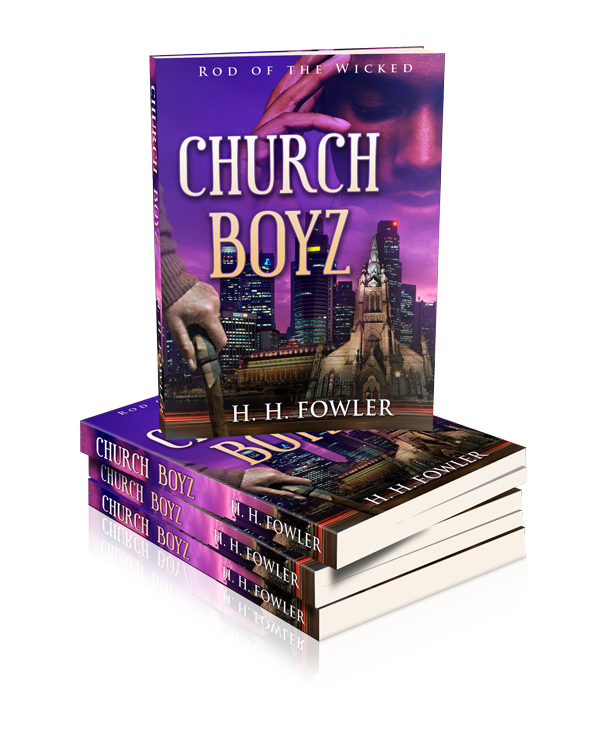 I’ve just finished reading the trilogy of church boyz. It was an extremely exciting read for me and couldn’t wait to get to the end. The books also touched on some sensitive issues like domestic violence which is something Christians do experience and do not often know hoe to go about it… My favourite black authors being the likes of sister souljah and Eric Jerome dickey, I now have a new one. Keep them coming please. So inspiring. Thank you.